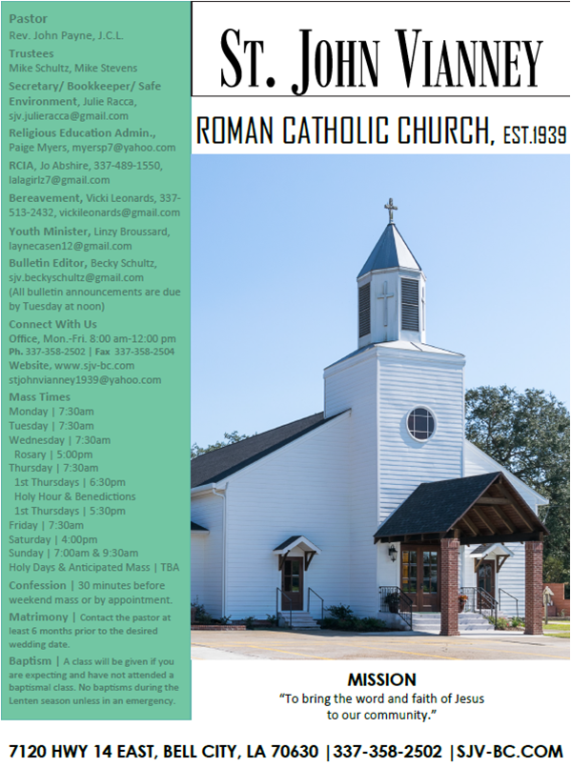 Click here to view our bulletin. Check the calendar for upcoming events and meeting info. Holy Week Schedule is posted above and in calendar. 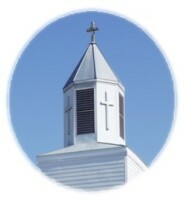 Our church office will be closed April 18th-22nd in observance of Easter. The office will re-open Tuesday April 23rd. Our Youth Group is having a fundraiser for their trip to March For Life, next January, in Washington, DC. Tickets are $20 in advance or $25 at the door, for a bingo card, a hamburger, chips, and a drink. There will also be a silent auction and a cake sale. Anyone can attend and your support is appreciated! Get your tickets early by calling or texting Paige Myers at 337-526-9265 or Julie Racca at 337-452-1418. Confirmation, PREP and RCIA classes will resume in the Fall. Registration for all will be announced. Click on the graphic to see a list of pantry needs. Did you find the information you were looking for today?